If you're hosting a boy baby shower and are looking for a fun activity to enjoy with your guests, look no further! I can't wait for you to check out this awesome FREE printable baby shower bingo for boys, and that match the free printable baby shower bingo for girls we shared with you last week! 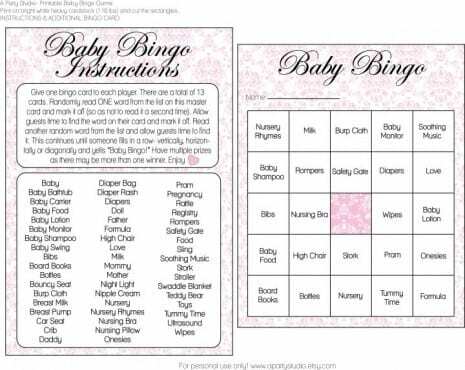 Baby shower bingo is a fun interactive game that's really easy to play. Minecraft parties continue to be a huge hit with kids here on Catch My Party. With that in mind, we've designed this awesome Minecraft party game for you. 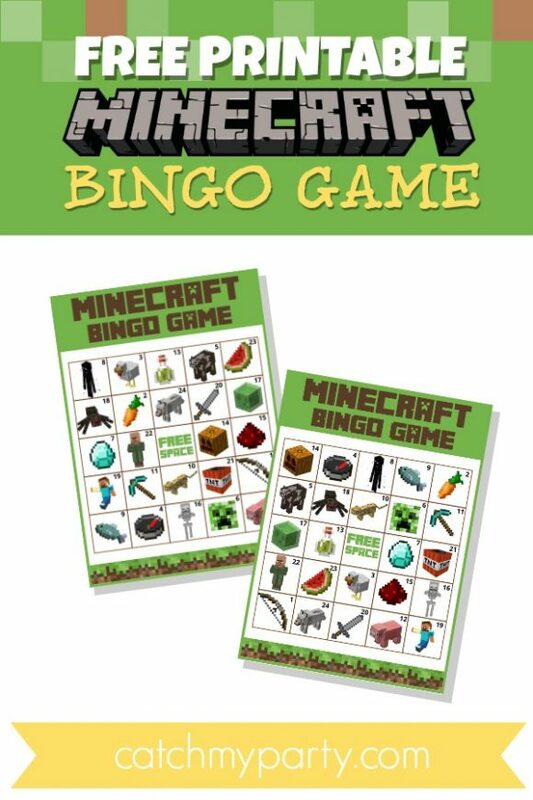 It's a FREE printable bingo game that you can print at home and use to keep kids busy at your Minecraft party. Need a fun Valentine's Day kids activity for a cold February afternoon or for a Valentine's Day class party? 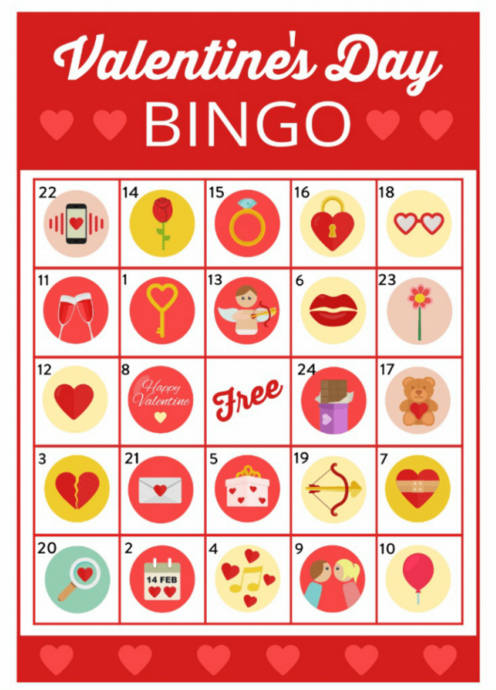 Check out this Free Valentine's Day Bingo Game! We're offering it as a free printable for you to download, print out, and have fun with! Want to keep your kids busy on Thanksgiving while they're waiting for dinner? 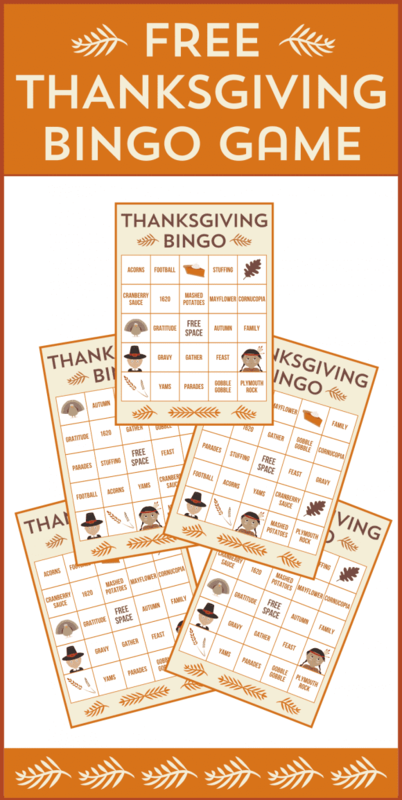 How about printing out these free printable Thanksgiving bingo cards designed by Michelle at Printabelle, and playing a game of Thanksgiving bingo to keep everyone entertained (you might get some adults, too). Download the free Thanksgiving Bingo printables here! If you're throwing a kids' Halloween party, or one for adults. How about using these free printable Halloween bingo cards as an easy activity to entertain your guests? I used this game at my daughter's classroom Halloween party and it was the hit of the party. 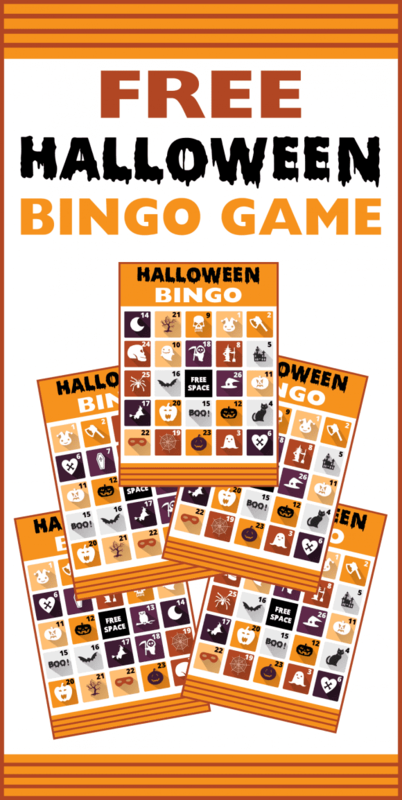 Download the free Halloween bingo printables here! Today we are sharing free zombie printables from Party Fun Box, perfect for an upcoming birthday or Halloween party! How ghoulish and great and the best part is the collection comes with two party games... a zombie bingo game and a "Pin the Brain on the Zombie" game! Just print them out and you've got everything you need for a party. The collection includes a ton of printables: a welcome sign, zombie bingo game, "Pin the Brain on the Zombie" party game, "Happy Birthday" banner, ID cards, drink labels, cupcake wrappers, party hats, treat toppers, cupcake toppers, tented cards, straw flags, and more! 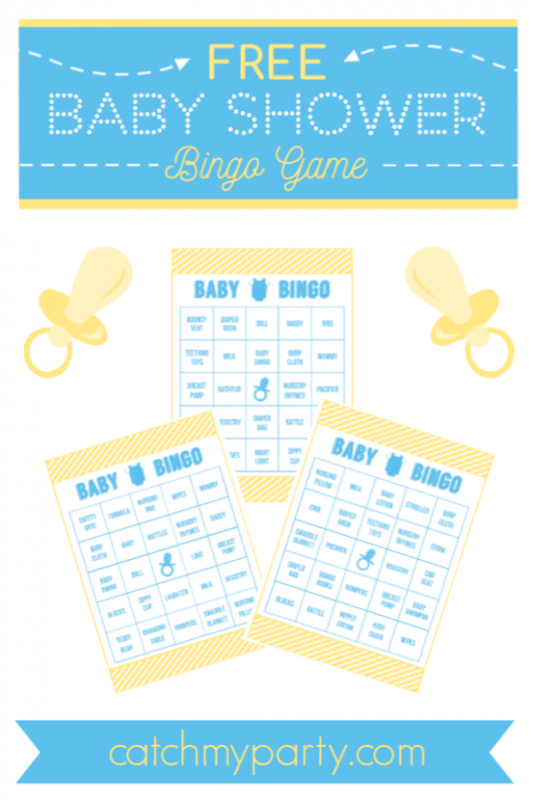 When Tali from A Party Studio contacted me about giving away the sweet Baby Shower Bingo Game she designed (in both a girl version and a boy version), I jumped at the chance. I like activities at baby showers. I think they bring the guests together and add some unexpected fun. 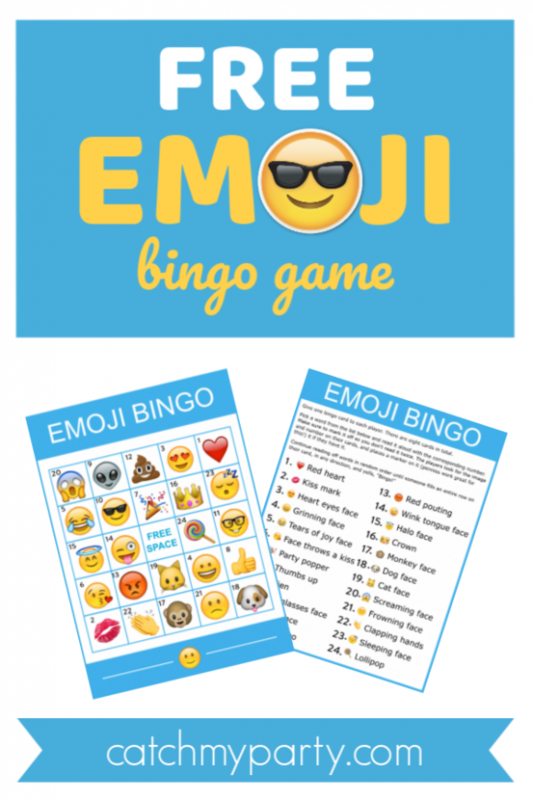 And now, if you're throwing a shower, you don't even have to pay for one because these bingo cards are absolutely free! Thank you, Tali!